by Emmet Cole and Robotiq Inc.
Automatica coverage; new sUAS rules; limiting cuteness in robot design; bots to become electronic persons? 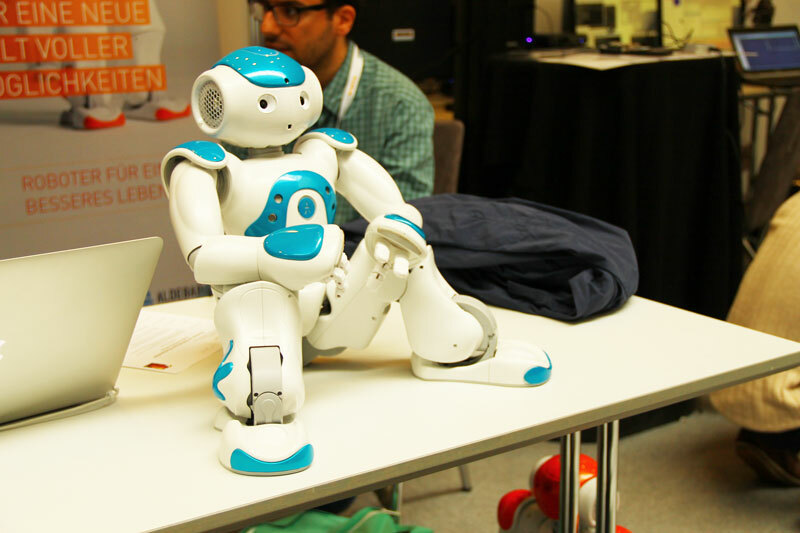 ; European Robotics League launches, and more. Find out what’s happening in our robotics universe this week. The Automatica trade show taking place in Munich this week is one of the largest robotics events in history. It brings industry experts, academics, manufacturers, customers, and others together to showcase new products and ideas and form new relationships. .. an impressively huge collaborative robot! The AURA robot has a massive 60kg payload capacity, by far the highest for any current collaborative robot. 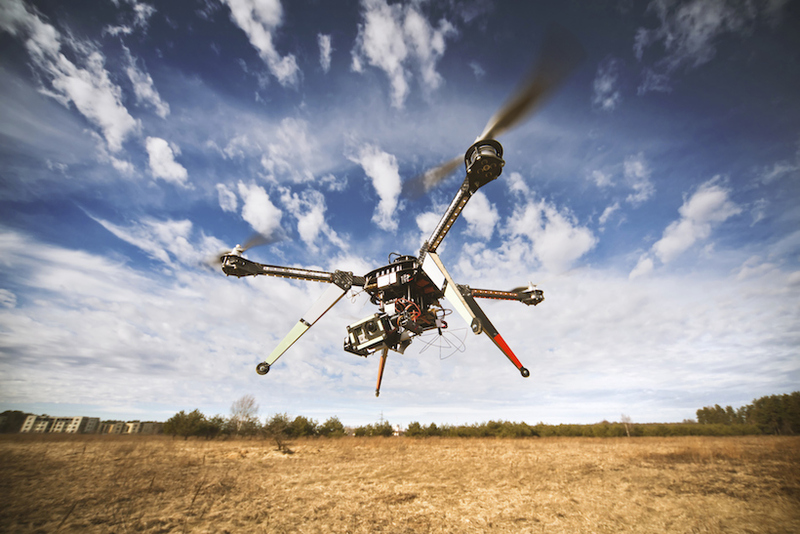 The US Federal Aviation Administration (FAA) released a set of highly anticipated rules governing the operation of small UAS (sUAS) for commercial purposes this week. Scheduled to take effect in late August, the new rules generally follow the proposals contained in the Notice of Proposed Rulemaking (NPRM) that was issued by the FAA in February 2015. One of the most significant changes for industry is that commercial operations that fit within the framework of Part 107 will no longer require approval by exemption, which has typically taken months to secure. Undoubtedly, the new framework will mean increased efficiency for commercial operators who will also not be required to secure airworthiness certification for their sUAS. One of the most significant changes for industry is that commercial operations that fit within the framework of Part 107 will no longer require approval by exemption, which has typically taken months to secure. Undoubtedly, the new framework will mean increased efficiency for commercial operators who will also not be required to secure airworthiness certification for their sUAS. The Association for Unmanned Vehicle Systems International (AUVSI) welcomed the news in a statement: “Today’s release of the final small UAS rule by the FAA is a critical milestone in the integration process and a long-awaited victory for American businesses and innovators. It establishes a clear regulatory framework and helps to reduce many barriers to civil and commercial operations, allowing anyone who follows the rules to fly in the national airspace. “Today’s release of the final small UAS rule by the FAA is a critical milestone in the integration process, and a long-awaited victory for American businesses and innovators. It establishes a clear regulatory framework and helps to reduce many barriers to civil and commercial operations, allowing anyone who follows the rules to fly in the national airspace. “Accelerating civil and commercial UAS operations will not only help businesses harness tremendous potential of UAS, it will also help unlock the economic impact and job creation potential of the technology. Once UAS are fully integrated into the national airspace and become more widely used, the industry will continue to grow as a job creator and generate significant economic impact. This is massive news for the commercial drone sector.. and long overdue. Designers working on bots for use in public spaces have to thread a fine line between creating robots that are non-threatening so that people are comfortable engaging with them, but not so cute that people don’t take them seriously. The team behind Knightscope‘s security robot “K5” took on that challenge, going through hundreds of design permutations to find the sweet spot for K5’s sensors. They also found that making some modifications to the robot’s behavior improved the efficacy and quality of human-robot interaction. “The K5’s designers, along with the shriek, programmed it to stop moving if cornered. Being boring, they found, is an antidote to cuteness. The choice between robots and pizza is a tough one for anybody to make, especially a kid. Of course with Pepper appearing in pizza restaurants and development of pizza-making humanoid RoDyMan well underway, future generations of children will not be faced with such a difficult existential choice. A draft European Union plan could see robot workers being classed as “electronic persons” with all the legal rights that would entail, including social security payments. 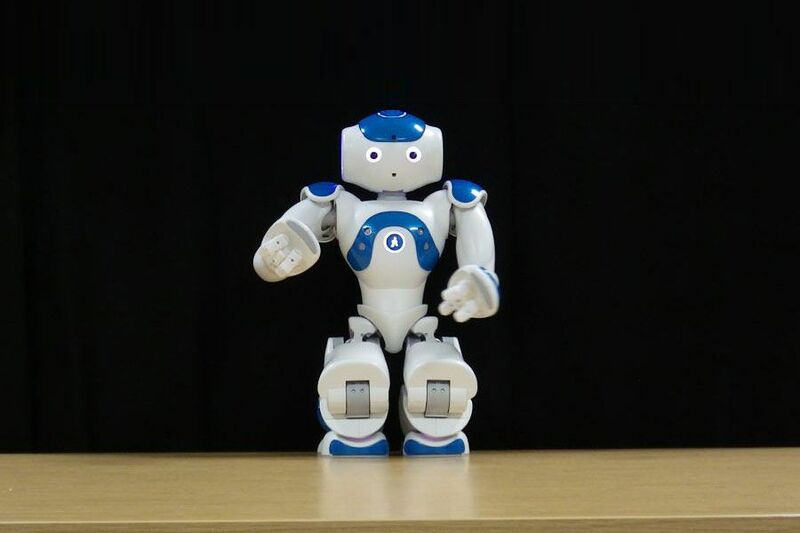 The draft motion called on the European Commission to consider “that at least the most sophisticated autonomous robots could be established as having the status of electronic persons with specific rights and obligations”. It also suggested the creation of a register for smart autonomous robots, which would link each one to funds established to cover its legal liabilities. The reaction from some industry leaders has been less than enthusiastic. “We think it would be very bureaucratic and would stunt the development of robotics,” he told reporters at the Automatica robotics trade fair robotics trade fair in Munich, while acknowledging that a legal framework for self-driving cars would be needed soon. Schwarzkopf may well be correct about the timescales involved, but it’s great to see policymakers taking robotics seriously enough to raise and debate these issues. Set to launch June 30th, the European Robotics League (ERL) will pit international teams against each other in three robotics categories: industrial, service and emergency robotics. Local matches and regional tournaments will take place around Europe over the course of the next year.